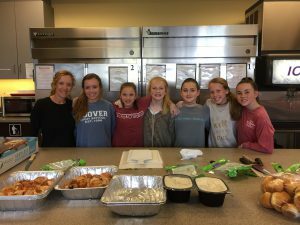 For the Rengerings, volunteering at Ronald McDonald House Charities of Alabama is a family affair. Barbara Rengering says she started coming to the House in 2008 with a group from her church and then her family started coming with her 2010. Dad Paul, 16-year-old Noel and twins Colin and Lydia all help out and bring lots of friends. Barbara (far left), Noel (second from left) and Lydia (second from right) with friends preparing dinner. The Rengerings prepare one meal a month for our families during the school year and drops by during the holiday season to help decorate the House and decorate cookies with the families. “My favorite part of volunteering is serving, alongside my children, the people who are going through a trying time. I love connecting with residents and being a friendly face for them,” Barbara said. And that empathy comes from a special time and place. Barbara says her now 13-year-old twins were born prematurely and had to stay in the neonatal intensive care unit (NICU). 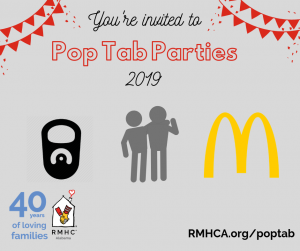 And though she and her husband didn’t stay at the House, she feels connected to what RMHCA families endure. We greatly appreciate the Rengering family and all our volunteers who make RMHCA welcoming for families! Signing up to prepare a meal, whether it’s breakfast, lunch or dinner, is easy and you can learn more on our volunteer page.